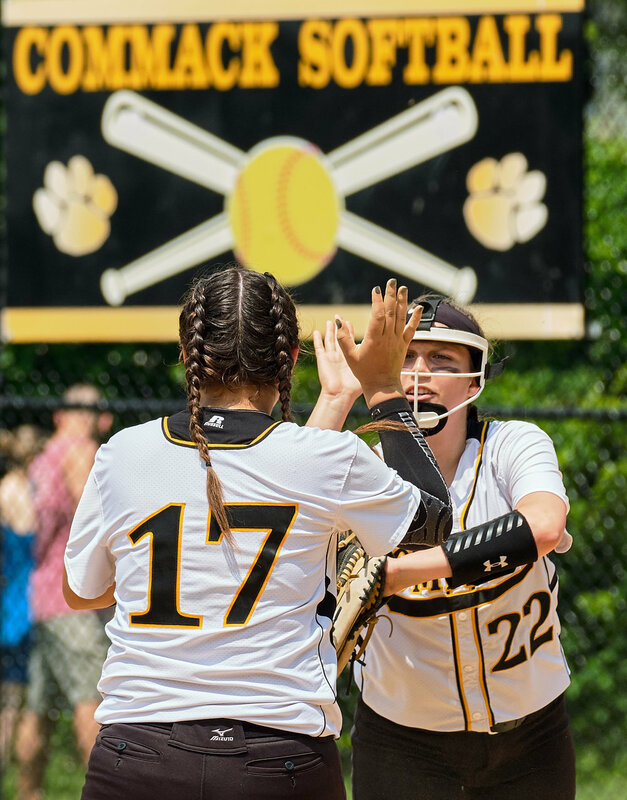 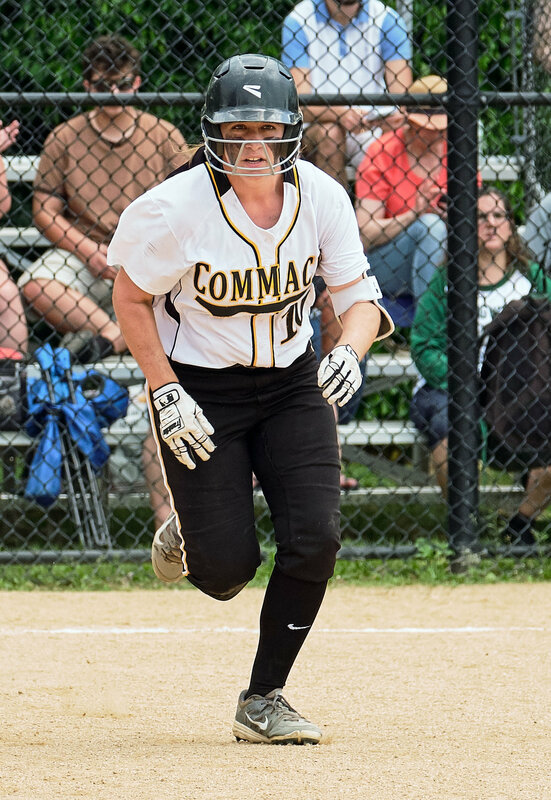 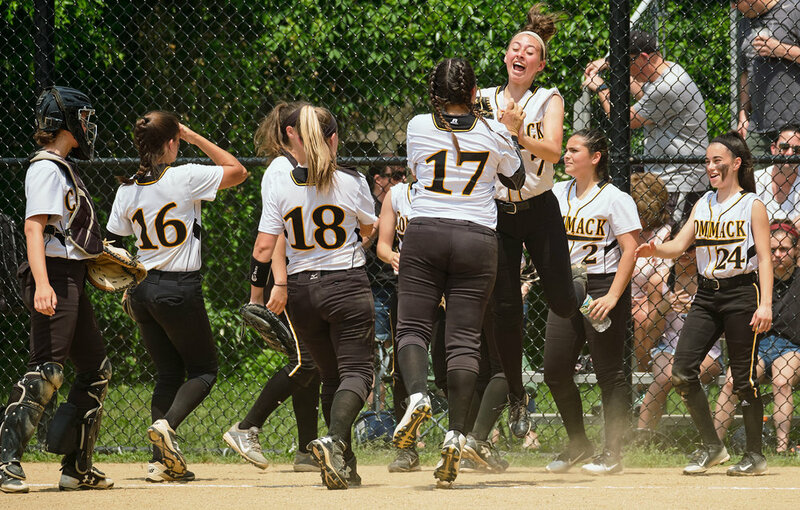 This 10-inning overtime game didn't go the way Commack would have liked but it was an exciting, well-played game by both teams and a lot of fun to photograph, despite the hot and humid conditions. 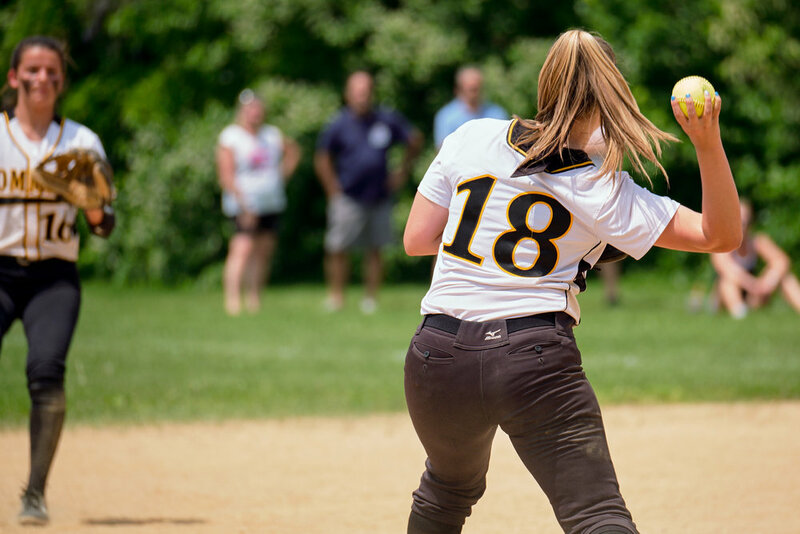 Photographing games in the playoff season is a bit different from the regular season. 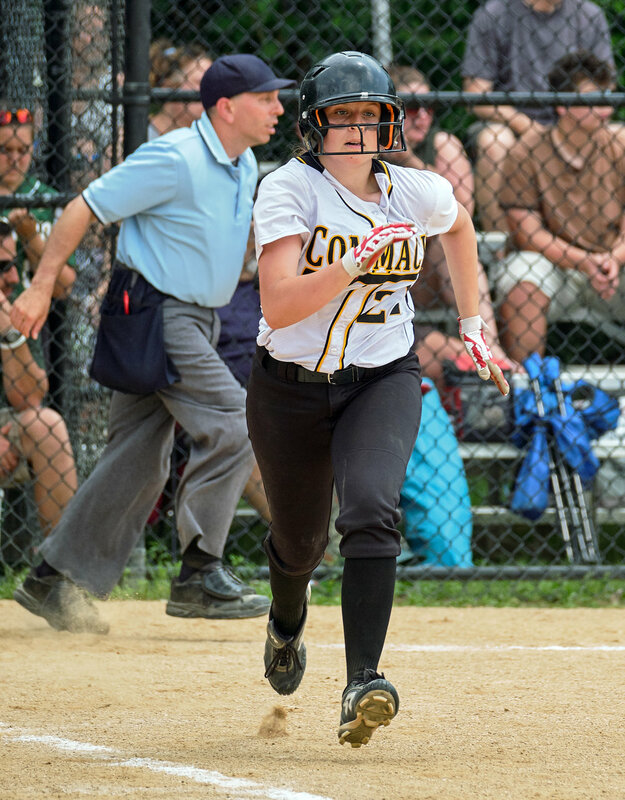 In the case of softball, there are three umps instead of two and the crowds are much larger. 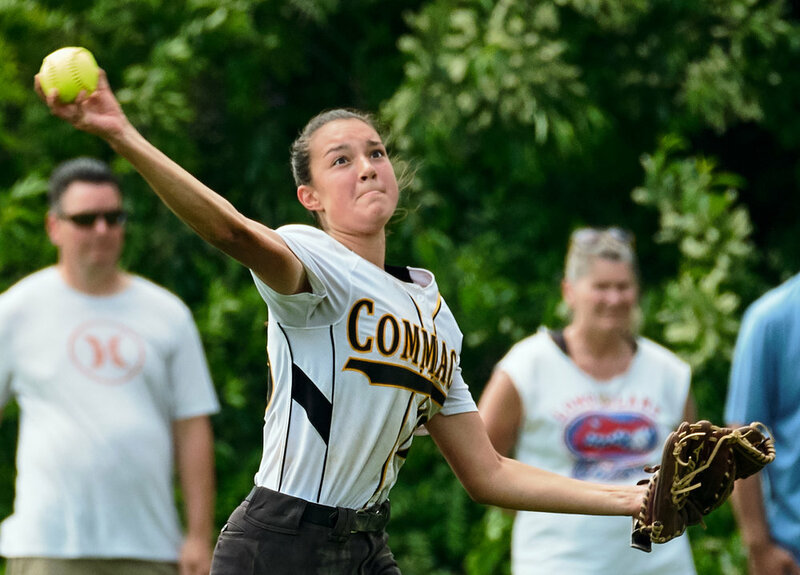 This means you need to select your field position more carefully and keep well out of the way of players and umps. 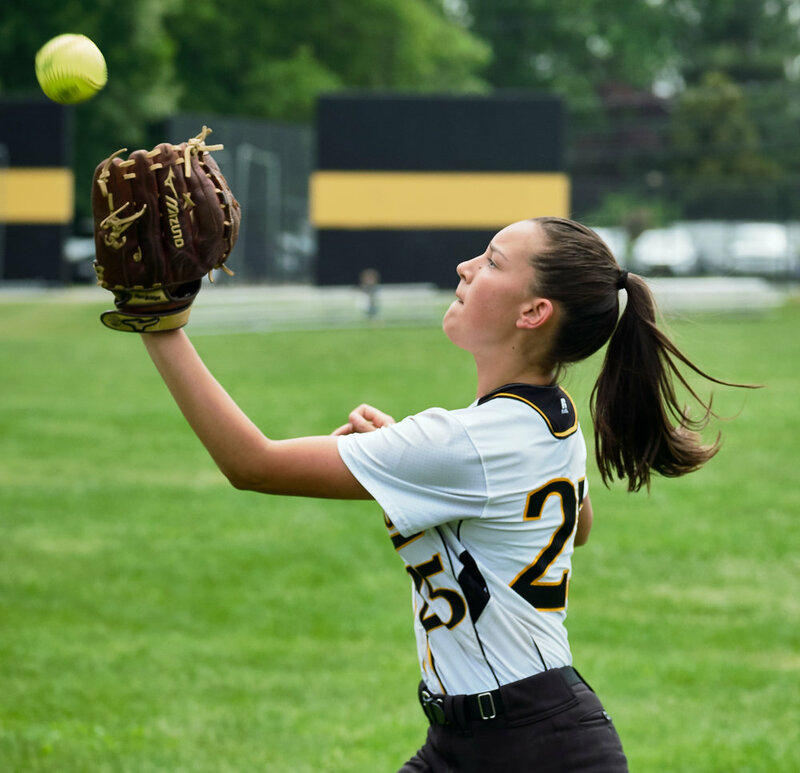 On the other hand, it also means you have the opportunity to get the reactions of a larger crowd in the background, which can really enhance your photos. 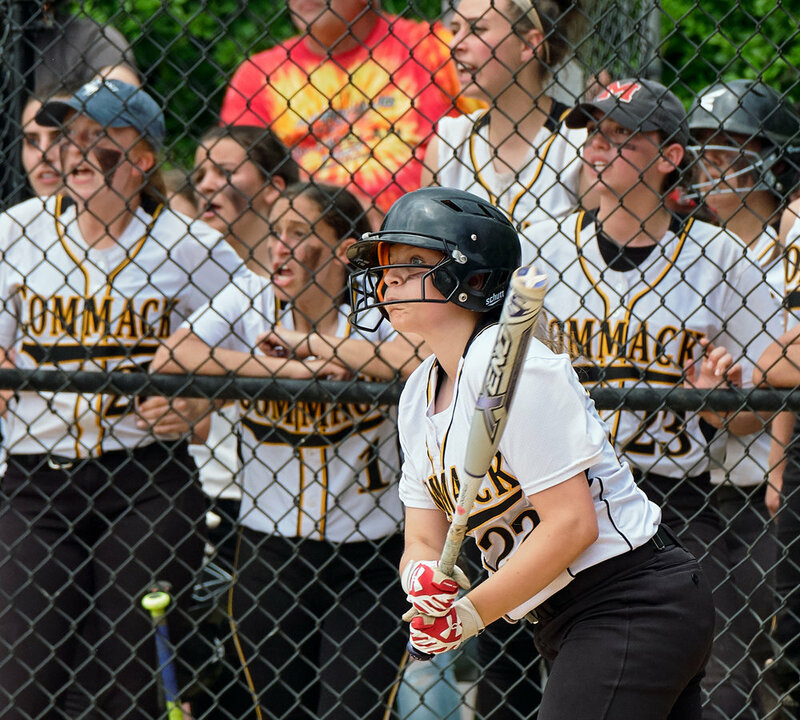 There's nothing like getting the spectators' reactions to a great play or (what they consider to be) a questionable call by the ump. 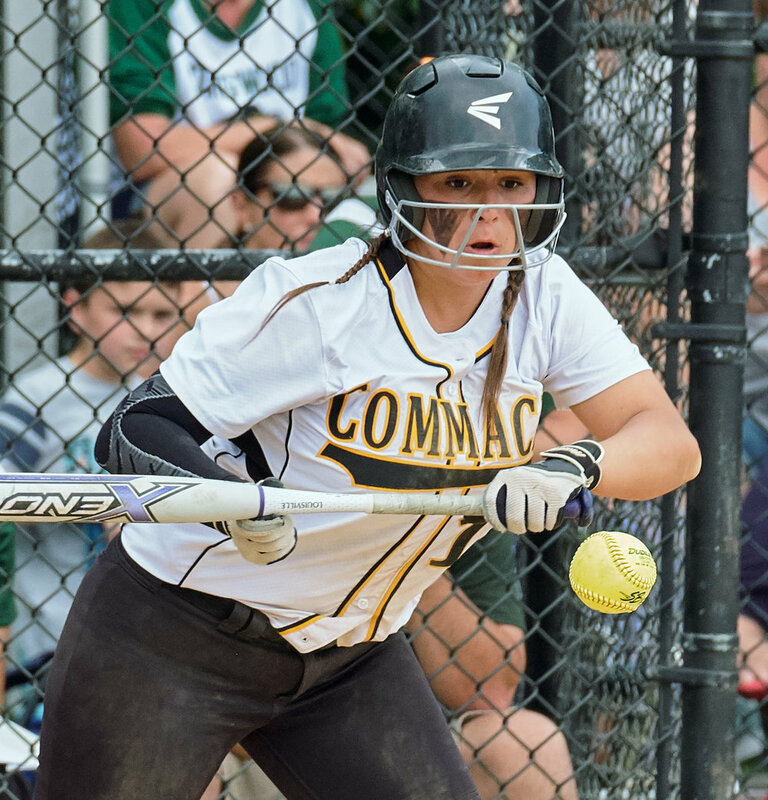 For this reason I like to shoot towards the Commack bench, which means being on the 3rd base line for home games. 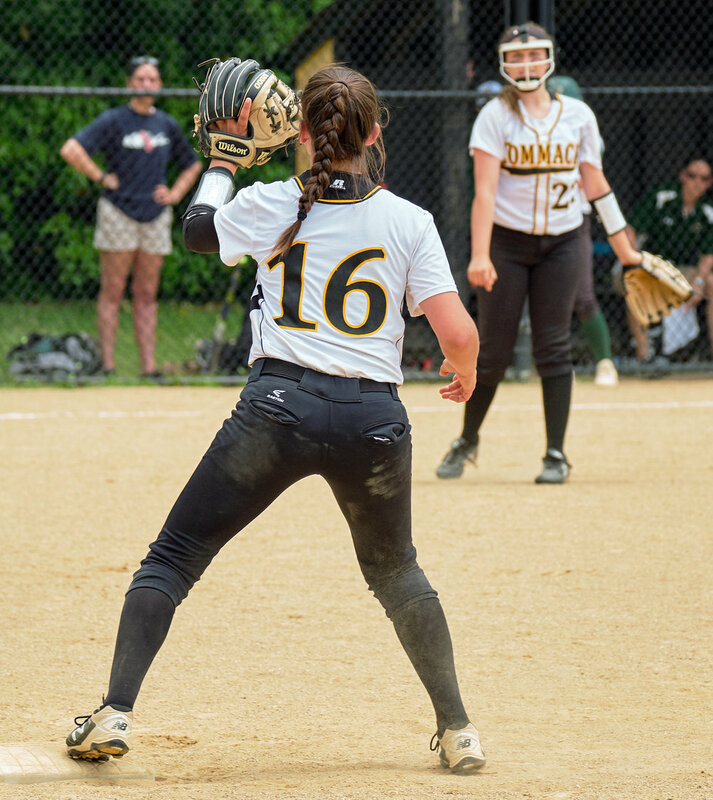 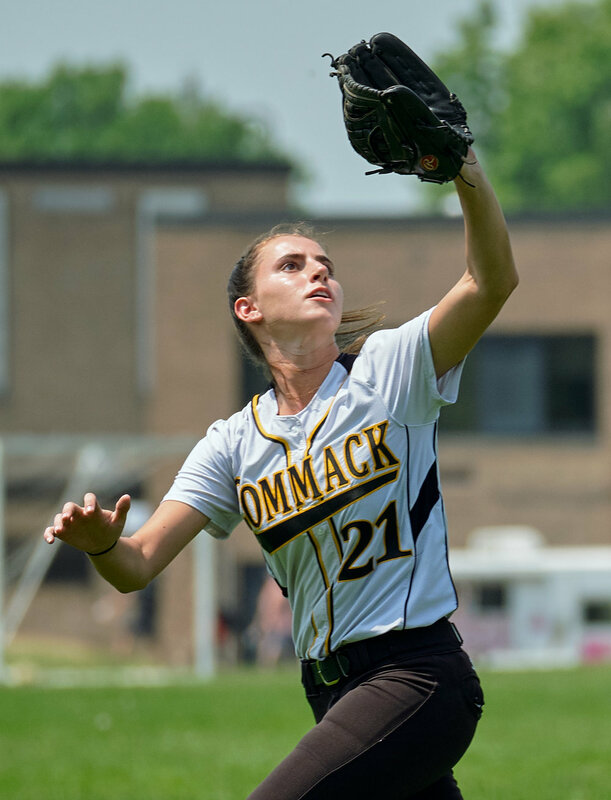 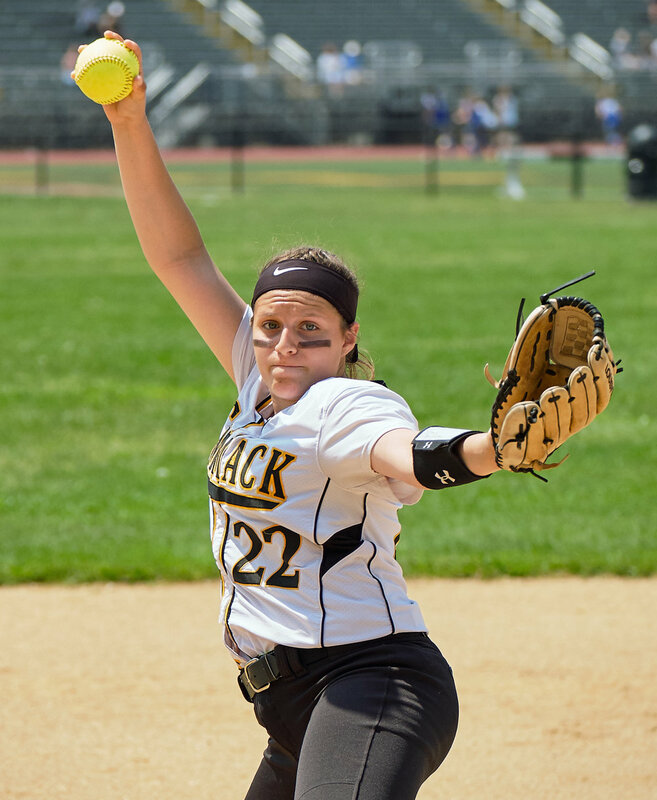 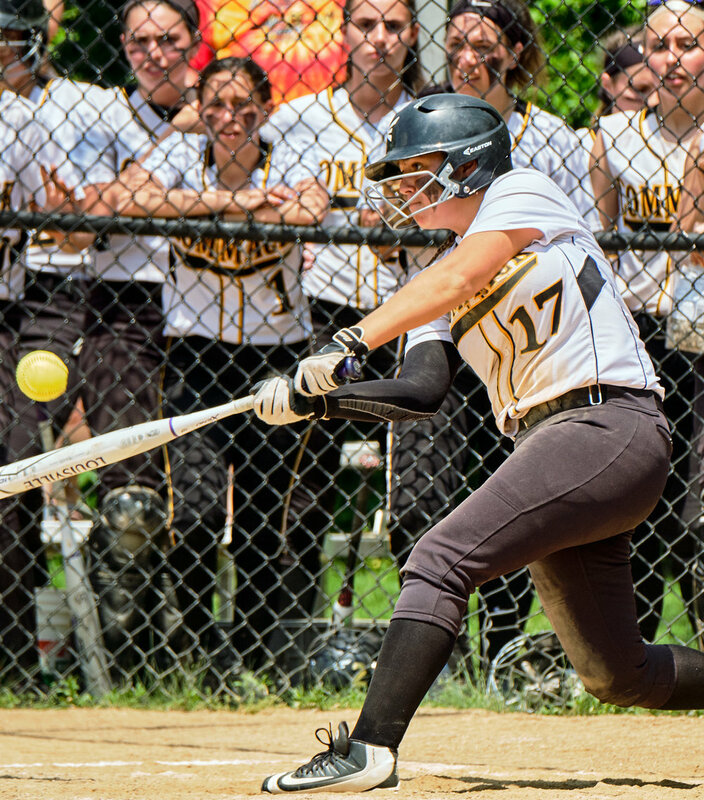 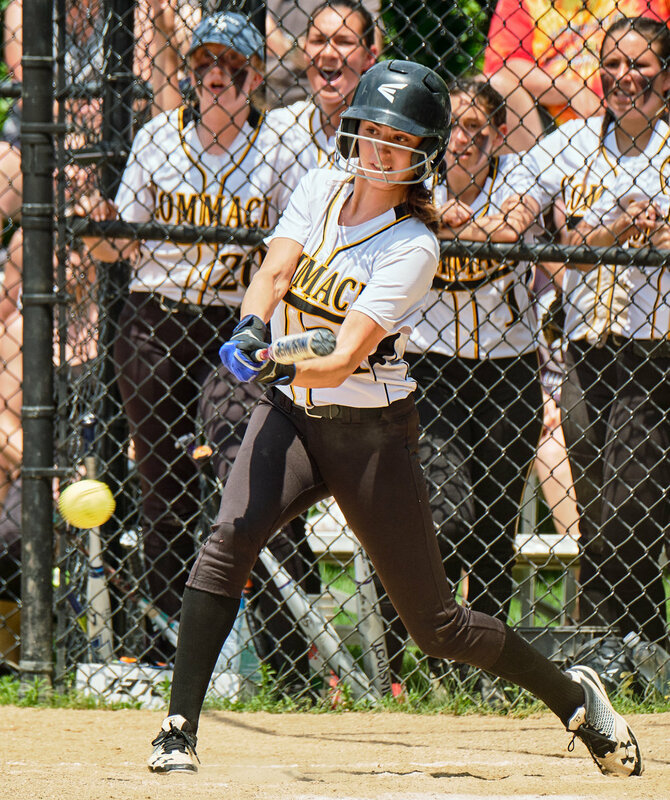 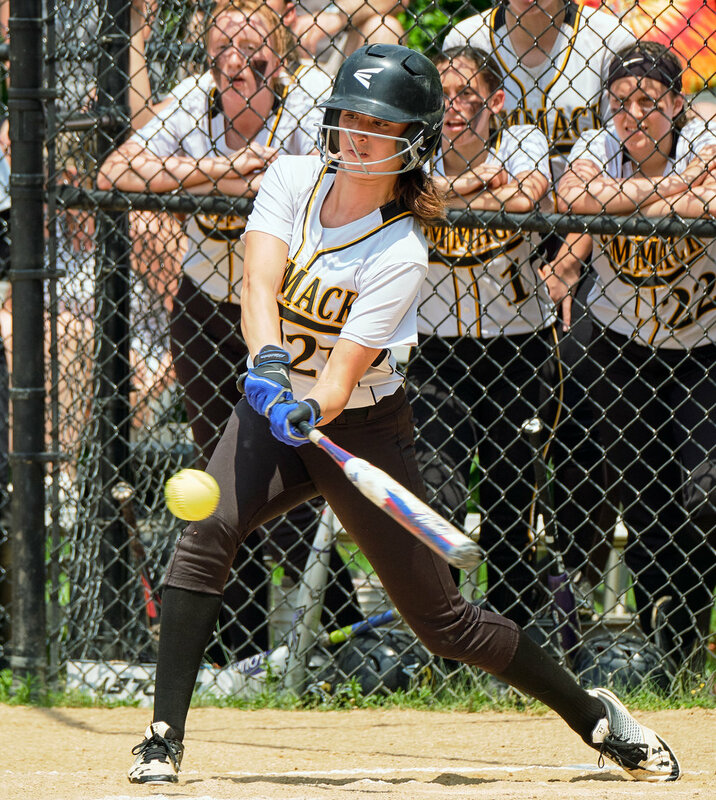 I can shoot the batter with her teammates behind her as well as plays down the first base line into right field with the Commack spectators in the background. 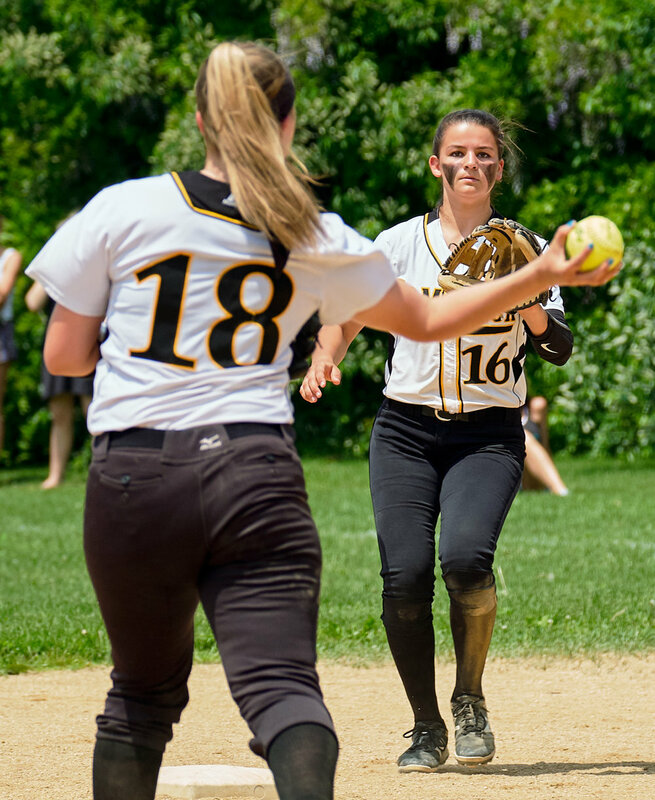 This is made a bit simpler with morning or mid-day games because the sun is overhead. 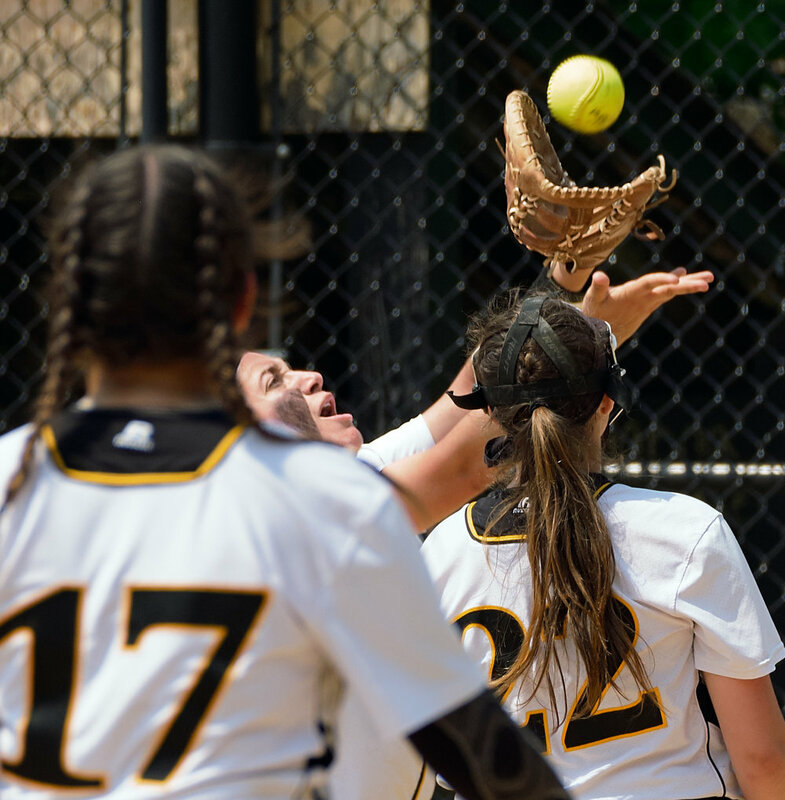 Try this trick at a 4:00pm game and you're shooting into the sun, which can be a challenge. 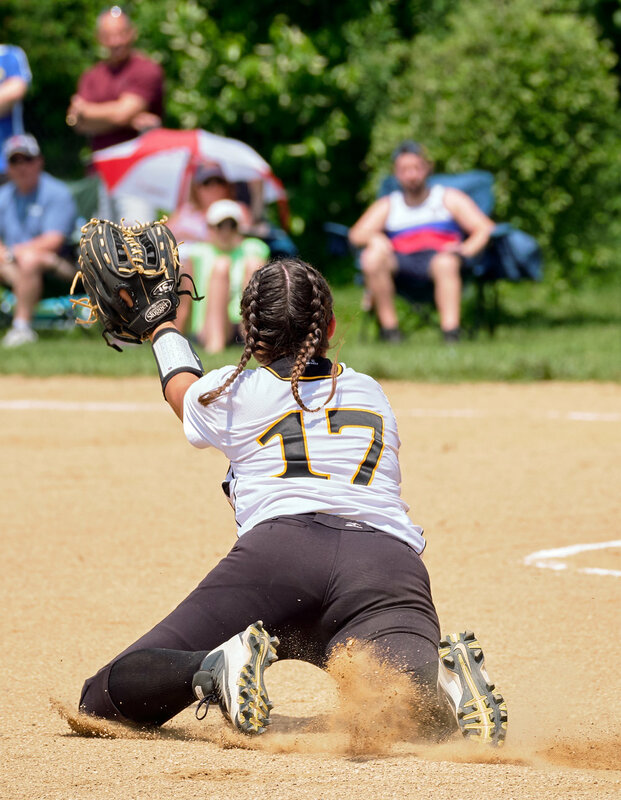 Next up is tomorrows bracket with Hills West. 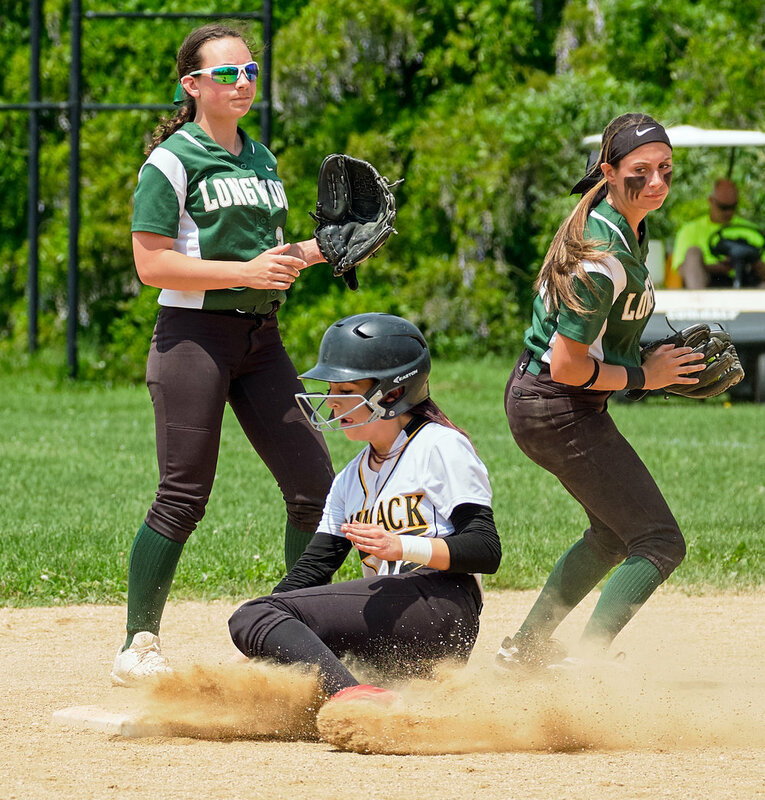 Should be interesting to see if the field is underwater after today's downpours.